After the fermented leaves have reached the appropriate level, they should immediately enter the oven to stop the enzyme activity at high temperature, ensure that the leaves are bright and bright, and then dry at a lower temperature, which is beneficial to maintain the quality of the black tea. 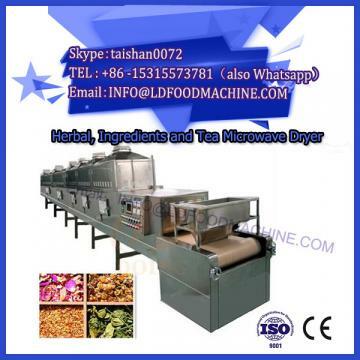 However, the current temperature of several layers on the dryer is low, and the bottom layer is relatively high, which does not meet the drying requirements, so the quality of the tea is difficult to maintain. 1. Layered air and hot air transport From top to bottom, the six layers are changed to eight layers, and the air is introduced into the fifth and third layers respectively, so that the upper layer has a high temperature and a large air volume. The upper layer has a large amount of air, and after a large amount of moisture is discharged, the lower layer of moisture rises faster, so that a smooth rising gas flow is formed in the oven. 2. The leaking tea warehouse is equipped with a wind blowing conveying device at the bottom slope of the leaking tea warehouse. A galvanized iron plate is added to make a concave shape. 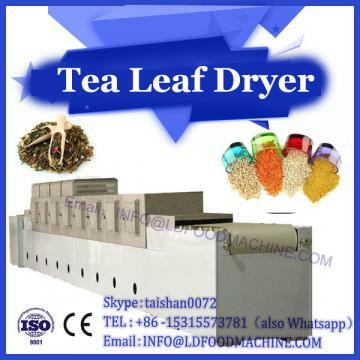 The lower layer of the dryer is used to blow the tea on the tea slope and blow the wind into the tea bucket. Broom sweeping tea. At the same time, reduce the empty space of the leaking tea warehouse to increase the application of heat and air volume, and fully exert the heat effect. 3. Increase the two-layer hundred-page board and increase the area of the leaf. After stratified into the wind, the wind enters from the fifth floor, and the heat is still available on the sixth, seventh and eighth floors. Unlike the original six layers, the heat is easily lost. Now, after the improvement, the second layer of the hundred-page board is added, which does not affect the dehumidification effect. It is then sent to the furnace as a heat source to achieve the goal of saving fuel. 5. Adding a vacuum cleaner After the dryer increases the air volume, the light piece and the tea dust are easily blown out of the box, and the tea and tea dust increase. Therefore, the dust cover is placed on the oven, and the light piece and the tea dust are blown by the suction fan. Collected in the dust collector, clean the workshop. 6. Replacing the conveyor belt. The original blade is adjusted. The leveling plate is high and low. It takes time and affects the thickness of the leaf. Now it is changed to the eccentric wheel. It is easy to adjust the thickness of the upper layer of the conveyor belt. 1. The air volume is large, the moisture is discharged quickly, and the output is increased. It is doubled compared to the output of the same type of dryer. If the temperature is increased, the throughput can also rise. 2. The temperature of the tea is high in the upper layer and low in the lower layer, which improves the quality of the tea leaves. The blower of the upper air inlet device draws hot air, and the upper layer flows to the lower layer, and the damper controls the flow rate. It is distributed in the forward direction and is introduced from the high and the lower layer. The tea leaves of the leaking tea bin are completely blown out with the slope by the bottom air volume. The tea machine that enters the wind enters the oven directly into the oven. Even if the damper can control the wind direction, it is difficult to turn, and the stratified air intake cannot be achieved. The heat generated by the hot blast stove must be fueled, and the heat sink of the furnace top, the furnace chamber, and the chimney is used to warm the cold air and turn it into hot air, which is also a method of saving fuel. The air volume of the dryer increases, and the moisture and tea dust that it emits must be more. These light tea pieces and tea dust are not collected and stored in scattered workshops, and cannot be civilized. Therefore, it is necessary to vacuum the equipment accordingly. Equipment, as an accessory to the dryer. 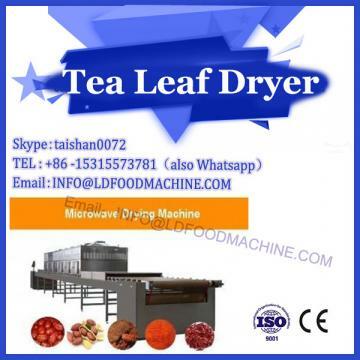 Especially for refined tea factories, it is more necessary to dry all kinds of small and light tea leaves. If the air volume is reduced and the air volume is reduced, the drying efficiency is low, not only fuel is wasted, but also the flow velocity of the cold air in the cast iron pipe is reduced, which affects the life of the air duct, and the waste heat of the furnace body is not fully utilized to save fuel.